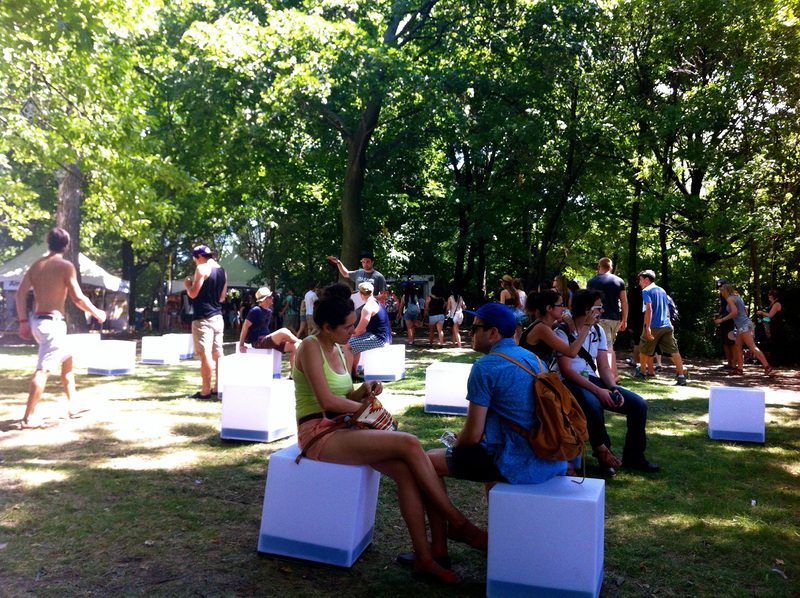 The Osheaga Music and Arts Festival is a multi-day music festival in Montreal, Quebec, held at Parc Jean-Drapeau on Île Sainte-Hélène every summer. 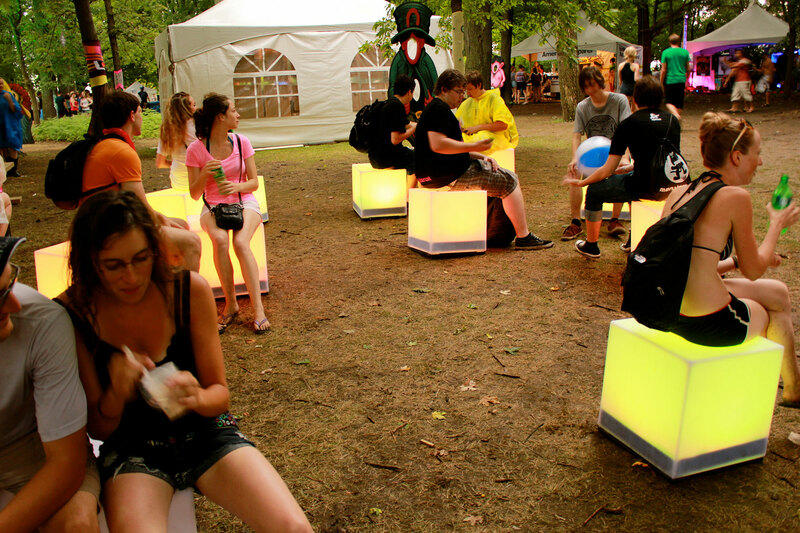 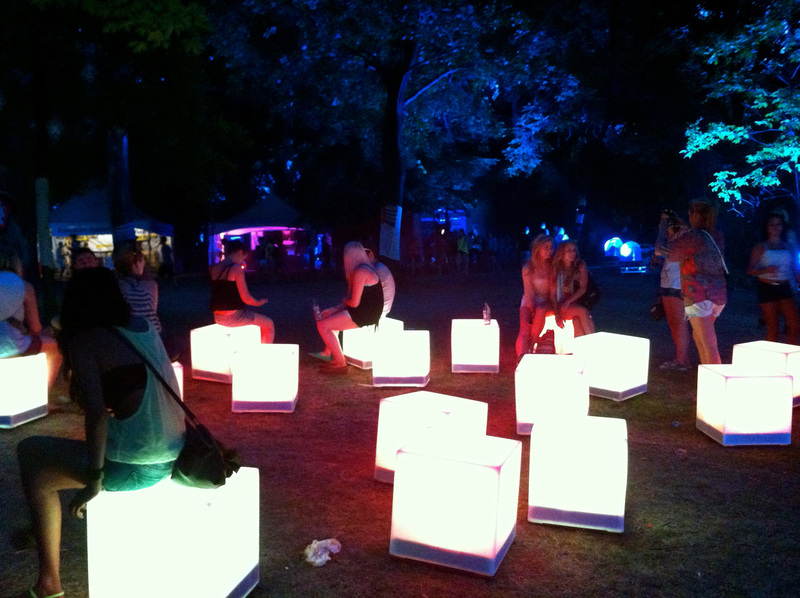 In 2012, we were invited by the Art organizers to bring our cubes for the three-day concert. 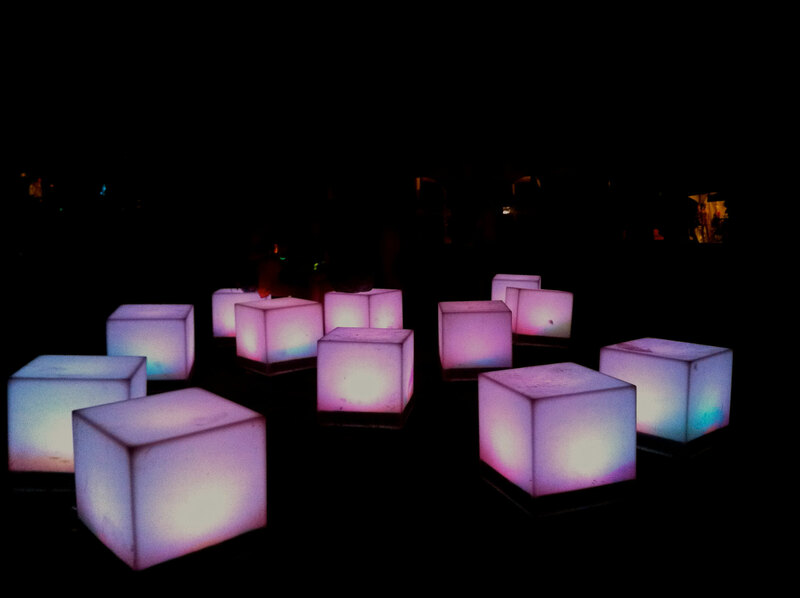 The SMILE cubes were set up in a shady area next to the electronic music stage. 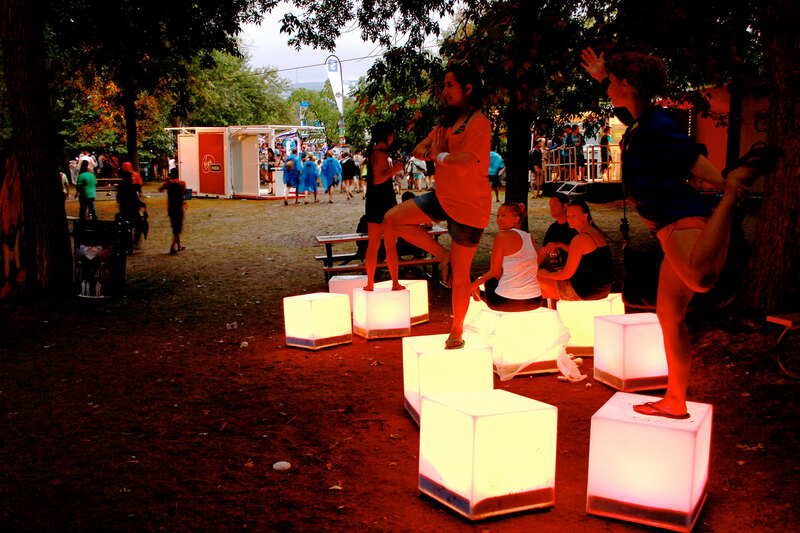 During the day, they became rest stops for the tired concert goers, at dusk, they lit up, reacting to music and creating an intimate space away from the crowds.